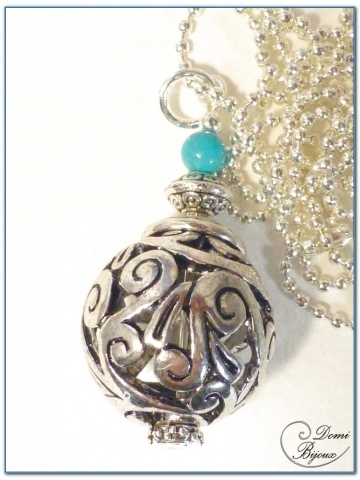 This necklace is made from a filigree metal pearl of 18 mm diameter, a cap, a metal pearl and a small turquoise pearl. 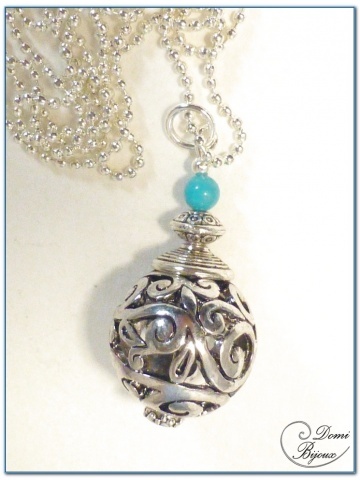 All elements used for this necklace are nickel free, so without allergies. 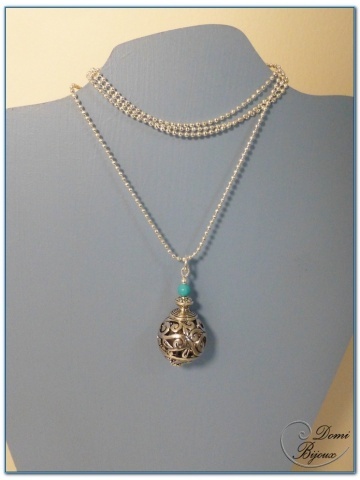 This ethnic necklace will partner with ethnic filigree pearls earrings you will find in Fashion Earrings category. This necklace will be delivered in a nice cloth pouch, so to store it carrefuly.